For the third time we find ourselves in a delightfully reclusive secret woodland location in Kent; the perfect setting to enjoy good, new music on the cusp of larger ambitions. Now in it’s 10th year, this festival has hosted a brag-worthy number of mentionable names, such as: Alt-J, Lianne La Havas, Jack Garratt, Ghostpoet, Kwabs and many more. 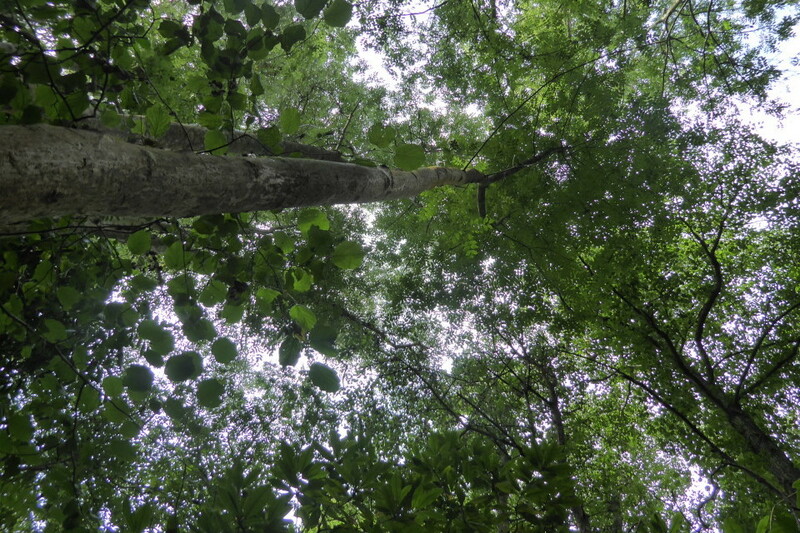 Within its modest size, In The Woods had formed itself into a formidable platform to promote new music. Now in its tenth year, it seems the festival has met critical mass; it’s now at the point where a perfect thing could grow and evolve, or remain the humble, almost exclusive nurturing ground for new talent. 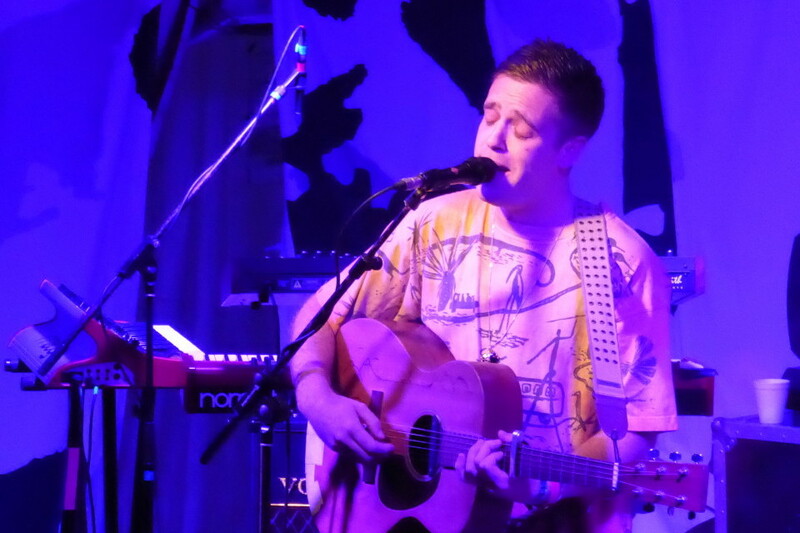 The opening night sees Benjamin Francis Leftwich take the stage with an intimate, sincere solo performance. This particular Friday night set has seen Lianne la Havas and Laura Marling in previous years – delightful singer songwriters that can hold a crowd with just a voice and guitar. Following that the Invisibles bring welcome tributes to Bowie and Prince in a nostalgic set containing the biggest numbers from both, which seemed the perfect way to open the festival for this punch of enthused musos. All tracks had the crowd singing and dancing, with featured guests including Sivu and more. Matt Woods opens Saturday morning with a strong and powerful entrance, a very fitting start for the day’s events. His vibrato vocals are masterfully held – he manages to flitter around the tonal scale with impressive ease. Using his guitar and a loop pedal, he creates swooning layered harmonies that gave his tracks depth and power. Bruce O Yates then treats us with some welcome country-infused Americana. The kind of sound that could transport you to anywhere in the world at a moments notice. Ilk followed on the Laurel Lounge stage with a baroque, worldly sound, somehow sitting somewhere between Alt-j and Everything Everything. Their tracks remain unpredictable and enthralling, certainly adding to the incredible diversity that this festival manages to consistently bring to the table. 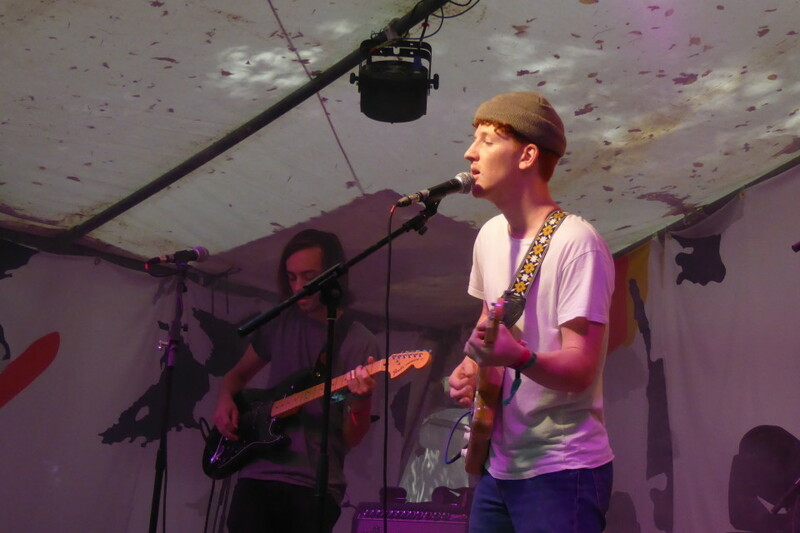 Willie J Healey then brought a considerable amount of noise on the Quarry stage, somewhat more powerful and triumphant than his recorded sound. His bluesy, crunchy Americana transported us to the sun-kissed beaches of west coast USA in an instant. Like King Krule, his baritone singing voice throws holds some attitude and grit, albeit with a much more organic instrumental sound. 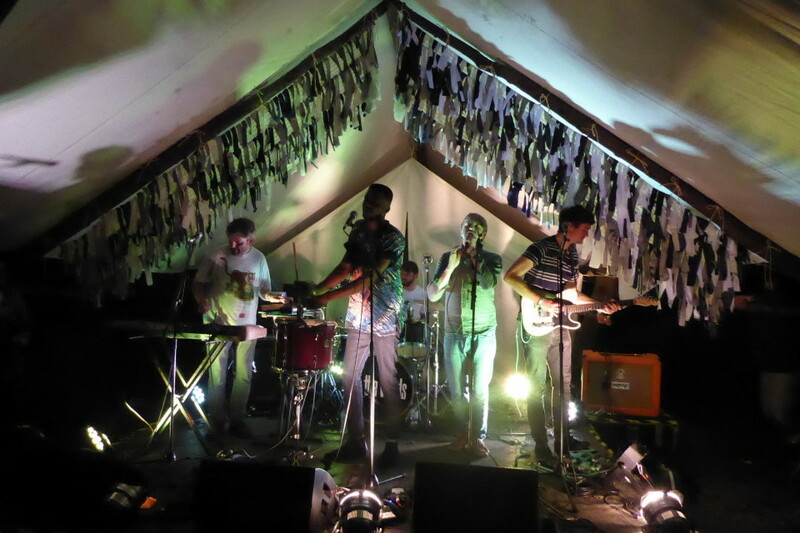 Wovoka Gentle then graced the Quarry stage for a refreshing take on experimental folk. Their electro-acoustic sound is bought to the present with cooing synths and delightful harmonies. Between the three of them, they entertained multiple instruments, keeping the crowd on it’s toes throughout their worldly soundscapes. We headed back to the Laurel Lounge for another solo performer in the shape of Adam Betts. A very gifted percussionist, he drew the crowd with a vibrant performance that was both impressive and addictive, using his drum kit and synth pads to bring the force of a full band to the stage. 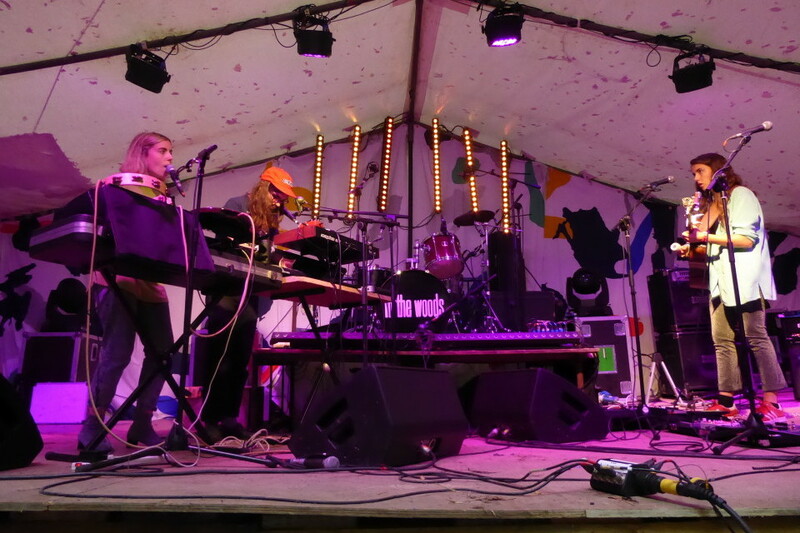 Following that, Strong Asian Mothers enthralled the Quarry stage with their Afro-infused, beat-heavy offering. Their sound has clearly evolved since their debut; altogether more honed and polished whilst still remaining unique. 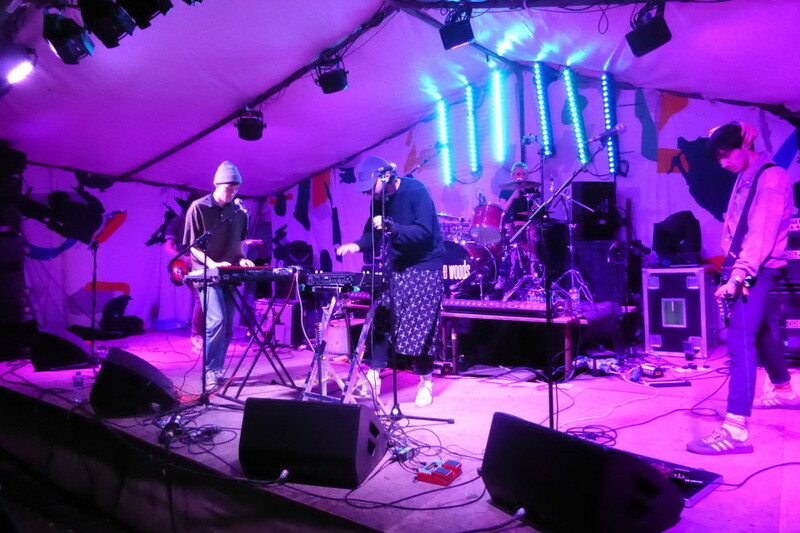 Bringing a tantalising slice of techno-infused pop, Elderbook lit the Quarry stage and got the crowd into swing for the evening ahead. His music pulses like a heartbeat, working the crowd up into a frenzy as the day began to fall into night. 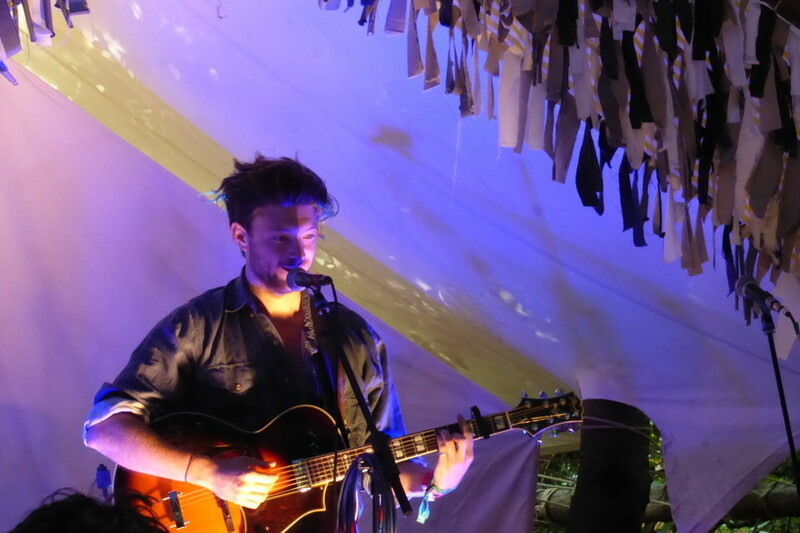 Will Joseph Cook displayed an uplifting array of polished indie-pop, throwing summer vibes on a readily-excited crowd. Imagine a British Vampire Weekend with a bit of Feeder’s affection for making a noise. There definitely seems to be a revival of singer-led bands this year, with Cook, Bruce O Yates and Willie J Healy bringing singer-songwriting styles from the past to the future with a modern twist. Trim then brings a heavy dose of grime as the sun begins to set, leading the crowd into the night with an appetite for strong bass lines and attitude. Again looking to decades past for influence, Bad Sounds bring an appetising dose of nostalgia, throwing nods to psychedelic rock of the past with punch and vigour. The band were animated and enthused, dancing around the stage with real affection for their music. The result was infectious, with most of the crowd shaking off the cobwebs to begin dancing. Back to the Laurel Lounge, we have Francobollo, a Swedish band making a return appearance at the festival since it was last held back in 2014. The band are unashamedly loud and brash, guiding listeners back to foggy Seattle during the grunge era. Sevdaliza teased and seduced the crowd; a strong, confident femme fatale that wooed the crowd with heartfelt vocals and pulsing bass. The new,’edgier’ side of RnB that’s seen artists like Banks rise to fame. Weaves‘ dose of punk-Americana pierced through the night with an admirable kick. Through the rain, it helped to uplift the mood and keep the crowd in good spirits. Their sound remains unpredictable and edgy, which gives them a likeable quality that’s it’s difficult to put a finger on. 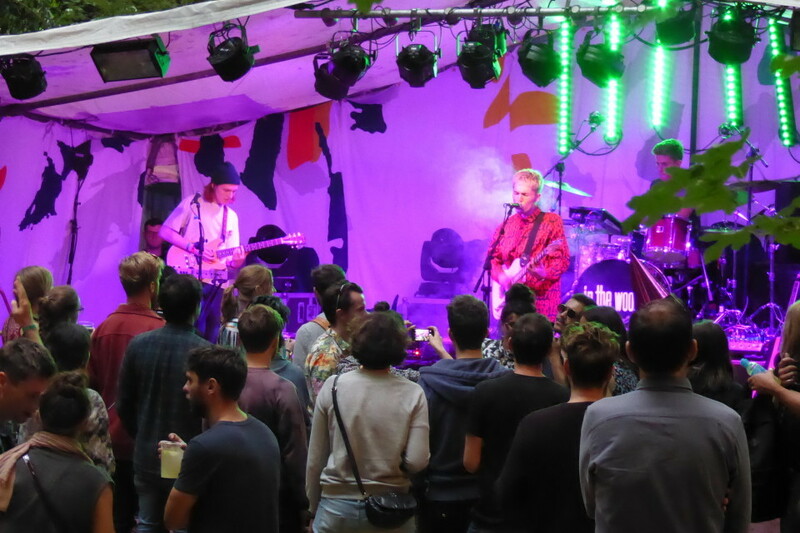 With a ten-year festival under their belt, Laurel Collective appeared as the secret headline on the Laurel Lounge stage – a welcome tribute to their history as a band and the festival. The set was clearly an emotional one, as this festival has seen incredible growth over the last 10 years, and it’s all been held in the band’s backyard. The final, secret headliner admirably came out as The Cribs. A solid British band with a strong history. This festival has grown and grown over the years, attracting new and established artists in the process. To sign off the tenth year, this was a fitting response, with the full festival crowd signing-off the festival with a bang. This festival once again hosted some incredible new talent that’s likely to see great success in the coming years. 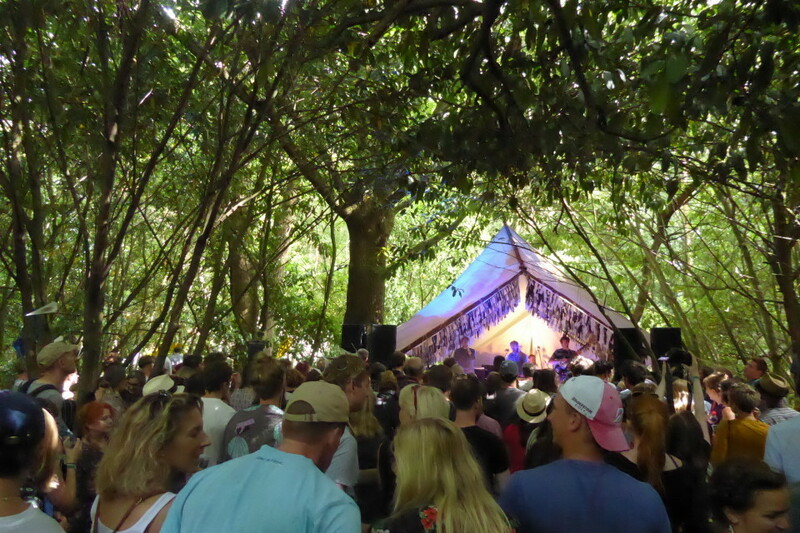 A consistent melting pot of great new music, In The Woods became a must-see for industry and music fans alike. It would seem that this festival was on the cusp of bigger things; the site is perfect for the current crowd size, yet the festival still grows in popularity. We’ll have to wait and see whether the decision to scale goes ahead.